Having a large pond in the garden means we have easy access to interesting wildlife on our door step. 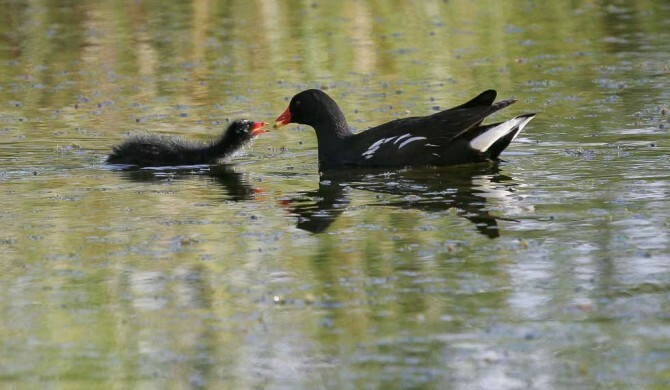 We have Moorhens all year round. During the Winter months we sometimes see them feeding below the bird feeders. They breed in the early spring hiding their chicks in the reeds beds around the pond.